Giveaway: Win Rexults medSpa Luxury Face and Body Therapies! You are here:Home » Product Reviews » Giveaway: Win Rexults medSpa Luxury Face and Body Therapies! In collaboration with the lush Rexults medSpa, located at Tong Building in Orchard Road, 2 readers of Luxury Haven will either walk away with a Refresh Face Therapy Worth SGD 180, or an Intensive Silhouette Redefine “ Flab-busters ” Worth SGD 200! Take your pick now! Say Goodbye To Your Tired-Looking Face, Refresh Your Skin! 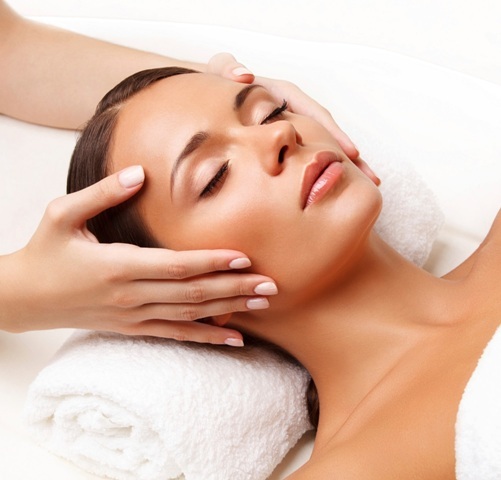 Stand a chance of winning a 75-min Refresh face therapy ( worth SGD 180 )! The city environment can be a rather unforgiving place. Harmful pollutants and being constantly immersed in stressful working conditions takes its toll on our Skin and Health. To counteract the bad effects of modern city living, one needs to address such urban syndromes as tired-looking and dehydrated skin. The Refresh face therapy at Rexults medSpa includes deep pore cleansing, light extraction, and the all-important " de-stress factor " - face, neck and shoulder massage. Selected Epiderma products best suited for your skin condition are used. Your skin is noticeably hydrated and minty fresh. Ladies, dare to bare your bikini body? Stand a chance of winning a 30-min Intensive Silhouette Redefine - “ Flab-busters ” (worth SGD 200)! The Intensive Silhouette Redefine - “ Flab-busters ” will put you on the road to a better-defined figure. This 30-min body therapy uses a medical-grade equipment. The technology was founded in Barcelona, Spain by José Calbet Benach in 1983. It was first developed to treat sports injuries using innovative radio frequency devices for electro medicine. The treatment was used on athletes at the European Athletics Championship held in Zurich in 2014. Intensive Silhouette Redefine is safe and effective. This body therapy works deep within to create a proionic stimulation effect inside the tissues. Its deep action mobilizes the ions, optimizing the ionic exchange to balance the electric potential in the tissue. This gives new life to the skin in firmness and tone. Rexults Intensive Silhouette Redefine - “ Flab-busters ” is suitable for the abdomen, flabby arms, and buttocks. The Intensive Silhouette Redefine - “ Flab-busters ” includes a body composition analysis to identify problem areas where goals are set. Through supervision and encouragement, Rexults medSpa team will help you accomplish your desired goal. Like the Giveaway Photo in Facebook. Share it in Facebook with the hashtag #giveaway #beauty, and Tag 5 friends! Let us know your choice of therapy in the comment box below. ( Aged 21 years and above for the face therapy; and women aged 30 years and above for the body therapy ). Each winner may only win one of the two prizes listed above. Giveaway is from 15 - 31 July 2015. Giveaway is only open to new customers of Rexults medSpa Singapore. Price quoted is in Singapore dollars and already includes GST. Updated 4 Aug 2015: Rexults medSpa Giveaway Winners + Special Beauty Treats! Man, too bad I'm not from that area! sound like an amazing giveaway. Have a great week. I think its about time I move to Singapore. At least I can participate in this giveaway. I want to try the FACE THERAPY too. It all sounds relaxing to me, great giveaway! Silhouette Redefine - “ Flab-busters ” sound good to me. These treatments sound amazing! Good luck to everyone! what a lovely giveaway for local residents! both face and body treatment sound amazing! So great giveaway darling, these treatments look so great! Another gorgeous giveaway, Shirley. Good luck to the participants. Really sweet giveaway:). Wish everyone of luck. Looking forward to win a body therapy for myself. Yes! Such a Nice giveway! Good luck everyone. Sad I'm not in Singapore. Looks like a terrific giveaway! Wish I lived closer! Amazing giveaway, Shirley. I love these treatments. Have a great weekend! Cute giveaway darling! Thanks for sharing!! I'd like to win Rexults Medspa Luxury Face therapy. This sounds just fantastically relaxing! Face therapy for me please,thanks !